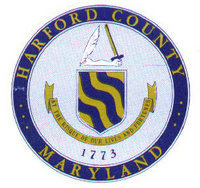 Time to check in at Harford County, Maryland. When we last reported on the Harford Metro Area Network (HMAN) in July 2014, it had only been lit for a few months. Now, more than 100 public facilities are connected to the network and more are expected; the latest will be Bel Air, Maryland. A recent GovTech article reported that the Board of Town Commissioners voted 4-0 to invest approximately $25,000 in a new VoIP system that will use HMAN for telephone service. The new system will serve 65 new phones and will include the software for the new system. Apparently, Bel Air sought cost estimates to replace their old traditional system with VoIP with a private provider and the estimates were more than $65,000 beyond what the city had budgeted for the project. We often point to significant public savings when local government uses publicly owned infrastructure for Internet access, but switching from traditional phone service to VoIP via a muni can reduce communications costs even more. In places such as schools, government offices, and other administrative facilities where there are multiple lines, the budget for telephone service can be astronomical. VoIP eliminates leased lines and, because a fiber-optic network like HMAN is designed with redundancy in mind, users can expect reliable connections. In addition to saving substantially, Bel Air’s new system will be compatible with the systems used by Harford County Government and the Department of Emergency Services. HMAN connects schools, public safety facilities, libraries, government offices, and other public facilities in the northeast Maryland county. The network is 160 miles and four main rings with laterals off those rings. The network cost approximately $13.8 million, funded with general obligation bonds from the county’s capital improvement budget.